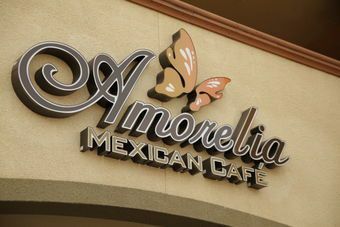 We are a family oriented Mexican cafe located in the Mesa Verde neighborhood of Costa Mesa. We have food and drink specials throughout the week such as $1 street taco's on Tuesdays, and Happy Hour Tuesday through Friday from 4:00pm to 6:30pm featuring: $3 Beers, $4 Sangrias, and $5 Appetizers. Visit us on on Friday and Saturday nights for live music such as Rumba Flamenco & Gypsy Latin Jazz! We serve breakfast, lunch, and dinner; and we are proud to serve some of the best Chile Relleno in Orange County.